Kalpataru Avana is a shimmering new residential complex by India's most respected and reputed Group Kalpataru Ltd. This project is perfectly framed at Parel, Mumbai spread across 2.3 acres of land. The Avana was launched in the year 2014. It is single and a true luxury multi-storeyed tower having combinations of 3 Bed room to 5 Bed room duplex apartments.This stylish tower stands approx 640 feet above ground levelwith 360 Degree View of the City.Each polished homes of Avana project starts from 9.9 Cr and goes upto 13.9 Cr. It offers available housing choices of 3 BHK, 4 BHK & 5 BHK of various dimensions. The area covered by these homes range from 3130 to 5196 square feet respectively. This complete majestic tower by Kalpataru is holding total 50+ units of various sizes. There are few of the attractive features of this property is a well-designed living room, roomy bed rooms, high quality bathroom and electric fittings, Roomy balconies, huge house windows for sufficient ventilation and natural light for its residences.Kalpataru Property matches all the useful qualities &demands forhome seekers. Kalpataru Group has been leading the real estate industry in Mumbai since last 4 decades. 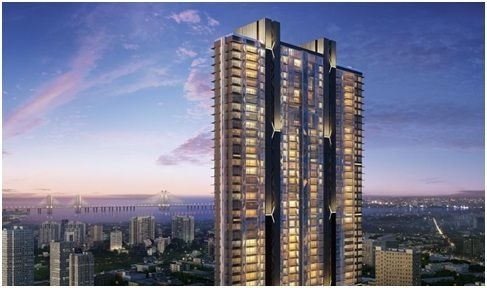 By delivering outstanding design and superior execution they have defined the Mumbai skyline. Their main focus has been on Residential, Commercial, Retail, Integrated Townships development and redevelopment projects primarily in the Mumbai Metropolitan Region (MMR) & Pune. Kalpataru Ltd is also undertaking projects in other key cities such as Chennai, Jaipur, Surat and Hyderabad. One of the largest Civil Contracting Company in the Middle East, based in UAE between 1974 and 1982. They are known as the leader for thoughtfully designed high-quality innovative life spaces and recognized for its customer and people practices. The project has outstanding connectivity via wide roadways and other traveling modes. Parel is welcoming a new tallest residential complex named as “World One” which is currently under construction. Residents of the location get easy access to public utilities like schools, hospitals, leisure areas and parks. This posh location has reputed Hospitals like KEM Hospital, Tata Memorial Centre, and Wadia Hospitals.The residential complex enjoys good connectivity with the major commercial hubs of Mumbai via S.B. Road and P.B. Marg. The Avana project is at a prime location from where every important junction can be reached easily via highways, expressways or metro routes.Parel location has been selected as a Real Estate favorite among many developers. Avana Project is located in a posh area at Dr. S.S. Rao Road, Behind ITC Grand Central, Parel West, Mumbai. Avana Development contains huge number of desirable features to ensure a serene way of living where the project requirements includeChildren's Play Area, Outdoor Games, Indoor Games, Yoga Green Zone, Landscape Garden, Party Hall Wifi Coverage, Rain Water Harvesting,Spa Amphitheatre Jacuzzi Barbeque Pit, Swimming Pool, Squash Court, Jogging Track, Club house, Gym, Sewerage Treatment Plant, 24 Hours Power Backup, 24 Hours Security, Parking Lifts, Sewage System, Fire Fighting Arrangements, Security Cabin. 368 sq.ft. - 374 sq.ft.